People depend on public services and your services depend on people to deliver them. 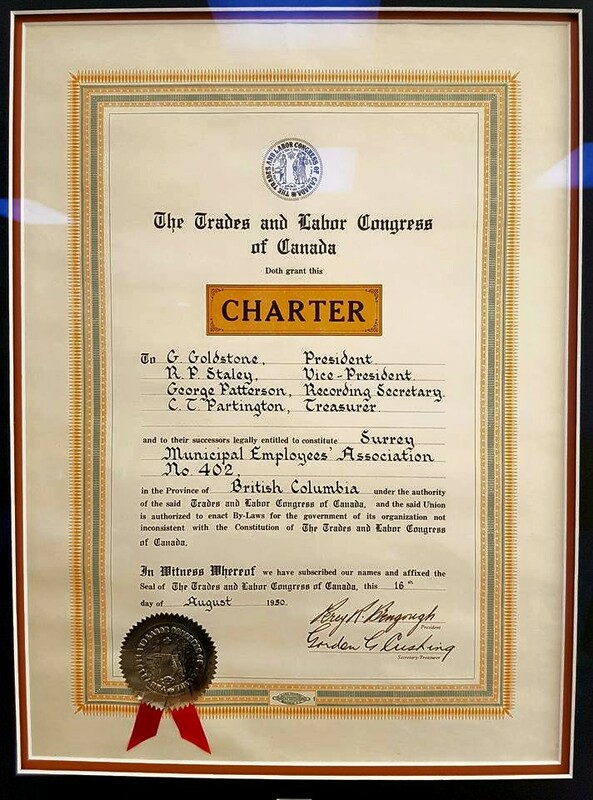 Surrey’s Municipal Employee Association has been representing Public Workers in the Fraser Valley since September 6 1947, when it was certified as Local No. 6. On August 16, 1950, it became CUPE Local 402, which has grown to serve over 3000 part and full time members at present. With a full time President and Office Coordinator working out of a permanent office in Newton, Local 402 unites three sub-locals: White Rock (CUPE Local 402-01), Libraries (CUPE Local 402-02), and Cloverdale Rodeo (CUPE Local 402-03).